It's been a chaotic few months for me, I feel almost as if I have quickly grown up and learned that sometimes reality doesn’t quite unfold the way you always imagine. Running the London marathon in April being a dream of mine for as long as I can remember. My mind-set is probably my biggest tool when it comes to running. I vow to never give in or give up - even if my body doesn't always agree. It was without a doubt the toughest physical test, I was pained and in complete agony for almost 15 of the 26 miles. I cried, I ached, I thought I wasn't going to get there. But, I did! It took me just under 5 hours to complete the race, but time wasn't my goal, I knew this wasn't going to be it. I had suffered exhaustion and setbacks throughout training - it was a case of giving it the best I could on the day. 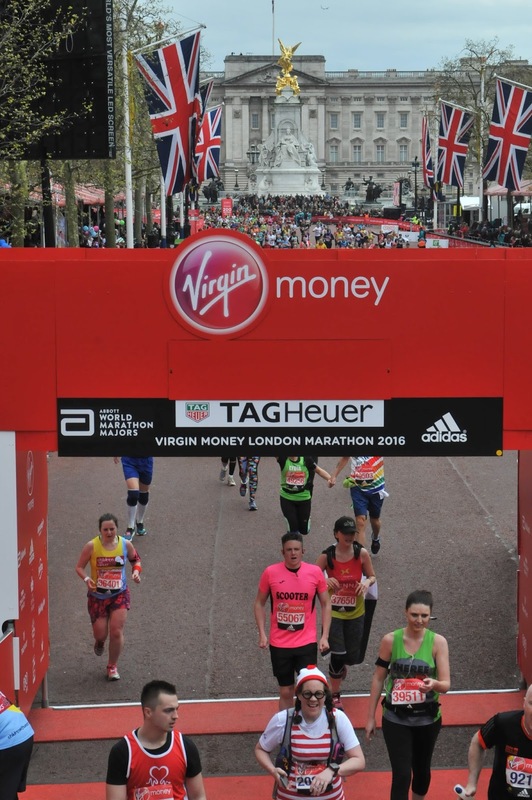 What did it feel like running the London marathon and crossing the finish line all by myself? I will always remember the last 800 metres, pulling my hunched over self-past Buckingham Palace, it was a pain so deep I could have screamed with agony. My body was pushed to the biggest challenge of its life, but I did it. I ran a marathon. And, for that I am proud. The couple of days and weeks after were a whirlwind of recovery, eating almost everything and still unpacking those gazillion of boxes from moving house. We are still living out of boxes and deciding upon decorating. I know it's going to be a slow process. And now, I am in Vietnam. It’s come around so quickly. I know in my deepest heart that coming to Vietnam has given me the truest reflection of myself and the desire I absolutely need to remind me of how far I have come, where I am at and how much more I have to give. Life is full of so many incredible moments and opportunities. Wow, congratulations on completing the marathon that's incredible!!! Completing the marathon is just insane, you should be so proud!